It is the policy of the Brevard County Sheriff’s Office to properly and fairly investigate employees who are involved with incidents dealing with the use of force, vehicle apprehensions, agency traffic accidents, agency property damages or losses, and the discharge of firearms. It is the responsibility of the Division of Staff Services to review the details of each incident, to ensure that all involved employees have complied with established policies and procedures. 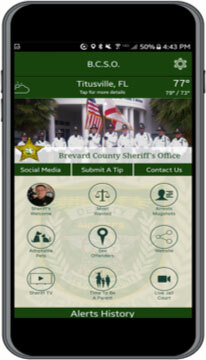 The Division of Staff Services also receives, processes, and investigates complaints made against members of the Brevard County Sheriff’s Office. To ensure public trust and maintain the integrity of the Sheriff’s Office, the Division of Staff Services conducts timely, thorough, and objective investigations. All investigations will stand a test of fairness, and all involved employees will be treated equally, regardless of rank. Once a determination has been made whether the allegations are valid or invalid, Staff Services initiates appropriate closure, with recommendations for corrective action if necessary, to be reviewed and approved by the Sheriff. Gives the agency an opportunity to discuss citizen perceptions of service with the employee and supervisor. Office hours at the Division of Staff Services are Monday through Friday, 8:00 AM to 5:00 PM. Telephone messages can be left at (321) 264-5216 anytime after hours, and your call will be promptly returned the next business day. Commendations received by the Sheriff for any Brevard County Sheriff’s Office employee results in advising the employee of your complementary remarks. His/her actions and your appreciation are recognized through a letter of thanks or commendation from the Sheriff, a copy of which is permanently entered into the employee’s personnel file. 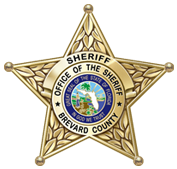 The Brevard County Sheriff’s Office provides two methods for the investigation and resolution of complaints against its employees. One method is informal the other is formal. Informal: Most complaints against employees will be resolved by the employee’s supervisor. This is considered an information complaint/investigation. In an informal investigation, the employee’s supervisor meets with the complainant, meets with the employee, then decides the appropriate action to take to best resolve the complaint. Formal: With more serious complaints of misconduct, the supervisor will take an initial statement from the complainant. The complainant will complete a complaint form. The incident will then be referred to the Division of Staff Services for a formal investigation. It is normally the responsibility of the employee’s supervisor to meet with you to discuss your complaint. If the employee’s supervisor is not readily available or you cannot meet with him/her because of scheduling, you may ask to speak with the on-duty supervisor. You may meet privately with the supervisor to discuss your complaint. Your complaint will be received politely and professionally, and you will be expected to conduct yourself in a similar manner. If your conduct is considered inappropriate, the supervisor may insist that you return another time to discuss your complaint. If appropriate, the supervisor will resolve the matter directly. When appropriate, the supervisor will begin the formal investigative process. You will be asked to provide a written sworn statement detailing your complaint. You will sign a complaint form saying that you understand that any false or untrue statement by you during this complaint may be subject to criminal or civil liability. You will be provided with a copy of your complaint. An investigator assigned to investigate the formal complaint will contact you to schedule an interview. The Sheriff’s Office will, based on a preponderance of the facts, decide whether the employee violated any rules and regulations of this Agency. If the Sheriff’s Office determines that an employee did violate rules and regulations of this Agency, the employee will be disciplined according to those rules and regulations. Your complaint will be reviewed for indications of ways we can improve policies, procedures, or training in the future. You will receive written notification of the determination made by the Sheriff’s Office, regardless of the outcome. While the Brevard County Sheriff’s Office does encourage citizens to come forward with their concerns and complaints, the complaints must be made in good faith. Should the Sheriff’s Office discover that the person or persons acting as complainant or witnesses issued statements known or believed to be false, the Agency may pursue criminal action against that person or persons. Civil action against an untruthful complainant can be initiated by the employee who is the subject of a false complaint.